The claims were early. Paul famously saw the resurrected Jesus on the road to Damascus, then wrote about it in his letter to the believers in Corinth. This letter was penned very early in history (in the mid AD 50’s), barely twenty years after the Resurrection. Paul repeated the earliest known Christian creed – or oral record – which included the Resurrection as a key component (1 Corinthians 15:3-8) and told his readers that there were hundreds of Resurrection eyewitnesses (still alive) who could be interviewed (verse 6). The claims were taught. The earliest claims about Jesus were passed from the eyewitnesses to their personal students. The apostle John, for example, taught what he observed and knew to be true about Jesus to his students, Ignatius and Polycarp. They then became leaders in the Church following the death of John, writing their own letters to local congregations. These letters describe Jesus in precisely the same way he was described by the eyewitnesses: born of a virgin, able to perform miracles and having risen from the grave. The claims were repeated. In the earliest accounts of the disciples’ activity after the Resurrection, they are reported to have repeatedly cited this event as their primary piece of evidence to prove that Jesus was God. From the earliest days of the Christian movement (as recorded in the Book of Acts), eyewitnesses consistently made the claim that Jesus rose from the dead. In order for the Resurrection of Jesus to be a late legend, the story would have to be both late and a legend. It is neither. It’s a lot harder to lie about something when people are still alive to expose the deception. The accounts of the Resurrection were written while people who would have known better could still fact-check them. Despite this truth, the earliest New Testament documents include the Resurrection story, and the record of the early Church fathers demonstrates that the account was not altered over time. Whatever you may think of the Resurrection of Jesus, it is not a late legend. 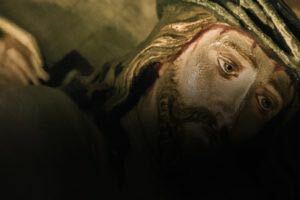 In fact, for millions of Christians around the world, the Easter account of Jesus’ Resurrection is still the most reasonable inference from the evidence. Previous The Truth About Easter: Did The Disciples Lie About the Resurrection?